Visiting a foreign country is something that you may want to do at some point in your life. If you plan on visiting the beauty that Tunisia has to offer, then there are several tips and plans provided through this ebook that is going to have you more prepared for your trip and therefore enjoy it even more. Tunisia, there is more to celebrate! . Tunisia has a lot to offer those that visit, and those that take the time to stop in and take a visit are going to find weeks of things to do that will fill every waking hour. And, still find that you are not getting to take in everything that Tunisia has to offer.. However, it is vital that when traveling to Tunisia that you do see the high points, otherwise, your trip is fruitless and basically a waste of your time and money. And, if you have been planning on this foreign trip for many years, then you are going to find that wasting your time and money is not an option that you want to deal with, nor is it something that you have to deal with.. 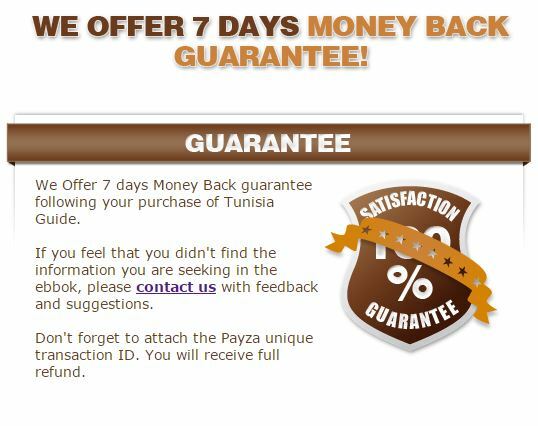 Through purchasing the Tunisia Guide ebook for only $4,99 , you are going to get that satisfaction in knowing that you have done all that can be done in order to be ready to take this trip and make it one in which you will remember forever. And, you are going to find that you are not going to become one of those trademark tourists that are lost in Tunisia, since you will know the ins and outs of everything. 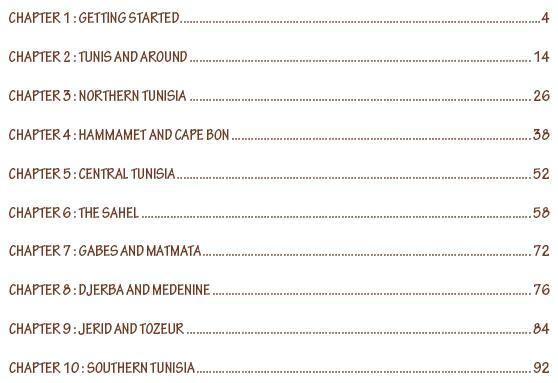 Including where to go and where to avoid if you have problems with locals or the like..
Easy to read and comprehend advice and information about Tunisia. Fun to learn facts about the history of many of the tourist cities throughout Tunisia. In depth information on items that are important to any tourist that is traveling in Tunisia. Those that have used this ebook for their primary Tunisia guide have been able to make their trips something that is more joyful and one that they would love to repeat later down the line. How is this possible? The proper way to dress while in the more conservative areas, such as when to wear shorts, when to cover up and when to show the utmost respect to the religious customs that are taking place. Hotels that you will want to avoid in order ensuring that you are not staying in a place that is going to be dirty or unsafe. The best restaurants in which you should eat to ensure that you are getting the best Tunisian food that the area has to offer, as well as the best service; the restaurants to avoid when wanting a leisure time out with the family. The beaches that you should frequent in order to have a good time or the beach to go to when wanting to relax by the soon for a few hours. 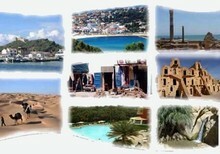 And most importantly the highlights of the city in which you visit and what simply cannot be missed while in Tunisia. These highlights include the historical sights, as well as those things that the person will not want to miss in doing. Where the nightlife is going to be when visiting Tunisia, including those bars that are more geared towards the younger crowd. This Tunisia Tourism ebook can help you to not only increase your knowledge of the area through the brief history outlines that are provided on some of the major cities in Tunisia. But, this can also be a great way to ensure that you are making trip one that you are going to remember for the rest of your life since you have been able to see every notable sight that there is to see. And, this is what every person strives for when they take a trip… the perfect vacation. There are several major cities that are covered in the ebook, while there are also those small cities included. This way, each person has something that is going to be of interest to them, whether this is horseback riding, taking in the local culture, or learning the history of each town that is in Tunisia. Read all of those great reviews ..
“My friend recently took an interpreter job in Tunisia. I decided to go visit her for a holiday. She suggested I pick up a copy of the Tunisia Guide and read through it before I came. I sure am glad I did! – Gregg Hall, United States. “As a frequent European Traveler, I enjoy spending time close to the Mediterranean. One place I had neglected to visit was Tunisia. We decided to buy the Tunisia Guide and see what we were missing. Such great information in the book had us excited to go check it out! – Jessica Lauren Vine, United Kingdom. You could spend hours researching all of this information on your own, and still not walk away with all the information that is provided here. Why waste your valuable time when this is done for you? 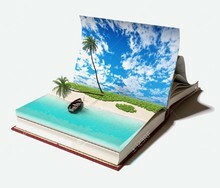 And, all the information is up to date and ready for you to have a good time on a well-deserved vacation. Why wander around Tunisia with no idea of what you should be doing or if there is something to see in the area? With all the information that is provided in this ebook there is no reason for anyone to feel as though they are not prepared for this trip. Don’t waste your time…. this ebook is your complete guide to Tunisia that is written with the mindset of the tourist in mind and answering questions that may be pondered. Jessica Lauren Vine, United Kingdom. Choose your desired version of the ebook. The only thing left to do for you is to pick your version. We’ve prepared a PDF eBook version that you can get using paypal or a credit card. and a kindle version that you can buy from Amazon. Get your copy today to ensure that Tunisia is going to be the most well planned trip in your lifetime. A little planning can ensure that there is a ton of fun, while this ebook can ensure that the planning part goes more smoothly than what you had ever hoped.